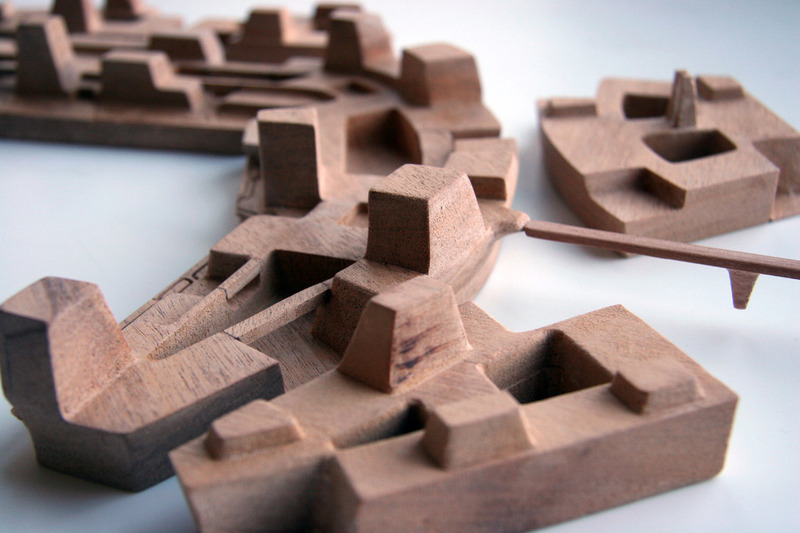 A solid mahogany model fabricated for Asymptote Architecture. This highly detailed model used CNC technology to carve and inscribe wood down to a tolerance of 1/64th of an inch and fit precisely into a 3D printed base. The large masses fit cleanly together defining both mass and subtle detail.